Exploring The 'Wild And Haunting World Of Dolphins' In her new book, Voices in the Ocean, Susan Casey describes the life of dolphins and details some new threats the animals face, such as organized dolphin kills and man-made sounds in the ocean. 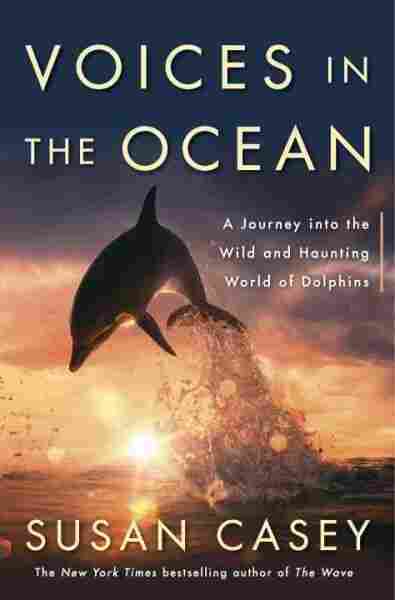 "Anytime you're in the wild with a beautiful animal you're going to feel good," says Susan Casey, author of Voices in the Ocean: A Journey into the Wild and Haunting World of Dolphins. 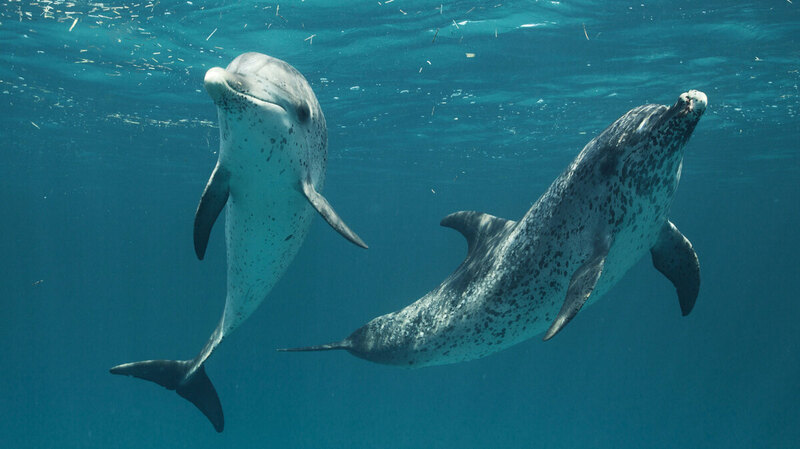 Dolphins tend to strike a deep emotional chord in many people who encounter them. Famous for their intelligence and physical ability, there have been reports that the marine mammals have come to the rescue of humans at sea. Writer Susan Casey tells Fresh Air's Dave Davies about an instance in which a scientist who was watching dolphins hunt noticed that they suddenly bolted for deeper water. He followed them and found that the dolphins had formed a circle. "In the center of the circle there was a young girl floating with a suicide note," Casey says. "And she was very close to dead, but she wasn't dead. ... The girl was saved." In her book, Voices in the Ocean, Casey describes the world of dolphins and addresses the myth that dolphins have healing powers. She also details the threats the animals face from man-made sounds in the ocean. "Underwater noise in the ocean is a big, big problem and it's growing," she says. "The good news is there seems to be more awareness of how harmful it is, particularly to animals that live and die by their acoustic senses, like dolphins and whales." One of my favorite facts about dolphins is that ... they understand that if I say "Take the hoop to the surfboard, then get the ball," it's different than "Take the ball to the surfboard, then get the hoop," or any number of complex changes in sentences. Any number of quick changes with wording that changes the meaning of a sentence, the dolphins were able to pick that up very quickly. The real colorful part began when he got a lab in the U.S. Virgin Islands ... with these buildings that were set up to observe dolphins and in some cases half-flooded with water so that humans and dolphins could be there together, and he began this wild period of experimentation with dolphins, and at some point along the way picked up LSD to try to better commune with the dolphins. She believed, like [John Lilly] did, that if you had enough contact with the dolphin, particularly if it was a young dolphin, in the same way that a mother might raise a young child, then you could eventually teach them our language, you could teach them to speak English. Susan Casey's previous books include The Devil's Teeth and The Wave. At one point she writes, "He does not go away" and she italicized it and underlined it, and so she said, "I carry a broom handle with me to ward him off," but the dolphin was innovative and he knew what he wanted and after a while Margaret decided, "Well, this would certainly create a closer inter-species bond," so she began to address his desires in probably very creative ways. It doesn't get that specific in the notes, but we probably can imagine. I think that where the problem is with this notion of dolphins healing people is this idea that you can come with a child who may have autism or may be otherwise ill and you pay $5,000 or some extraordinary amount of money and they get into a swimming pool with a dolphin and somehow they're going to be fixed, and that is not supported by science at all. It's of course a novel experience, it's a charismatic animal, it's something that would be fun to do under any circumstance, but this idea of putting more dolphins into concrete tanks and charging astronomical fees and promising something that is really not being delivered, it really is kind of shameful. In the Solomon Islands they're hunting dolphins in a traditional way, they really do have a tradition of hunting dolphins. It's a really rough place ... and very poor, they do eat dolphins there, but they also use the teeth as a currency. The teeth are used to buy brides and cigarettes and things. Some of the loudest noises are the military combat sonar, which in certain species of dolphins has caused beaching, it's caused hemorrhage of the brain, embolisms, it's killed a lot of dolphins when they're close to it. In particular, it affects some of the deepwater species that it's so loud they end up rushing to the surface, and even though they are very adapted to being at depth they can still get the symptoms that we would associate with the bends. ... Several environmental groups have taken the Navy to court a couple of times, most recently successfully, in California and Hawaii, when the Navy said they were going to start using the sonar a lot more in that region.